Blanchard, 2, lives in a tumbledown shack in northern Haiti with his mother, Gladys. Gladys does her best to feed him, but some days there is nothing to eat. She will often forgo eating to give her portion to Blanchard. She also tries to breastfeed Blanchard when he whimpers from hunger. But, being malnourished herself, she does not produce enough milk to provide her son nourishment. 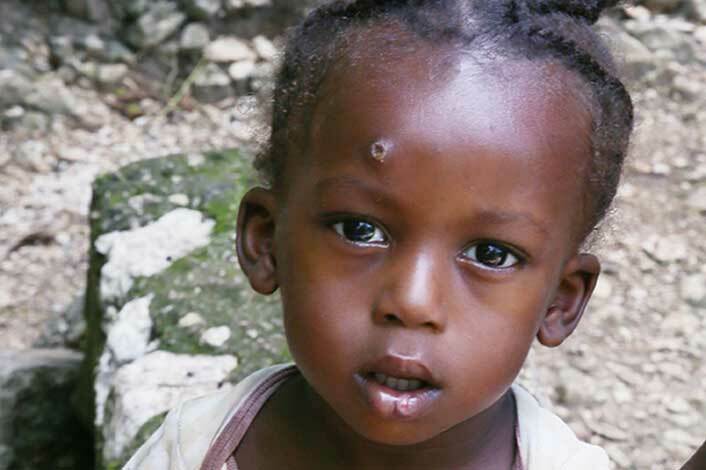 Your gifts to Food For The Poor give food and aid to desperate children like Blanchard.